Janice Sloan of Spring Branch, Tex., earned the People’s Choice Award with her Footed Canes. 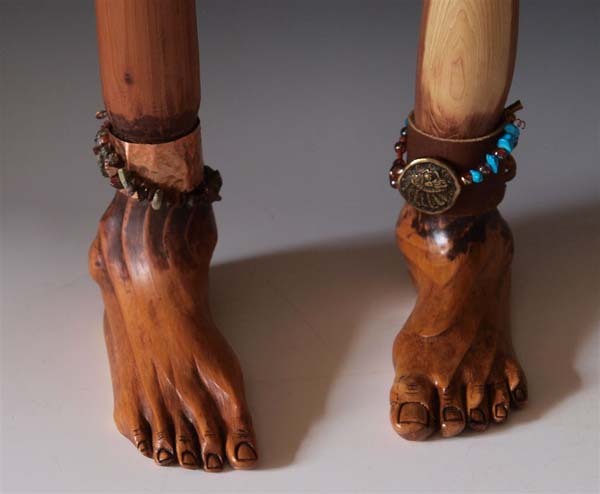 Janice Sloan’s footed canes were inspired by visits to medical supply houses and assisted living facilities. 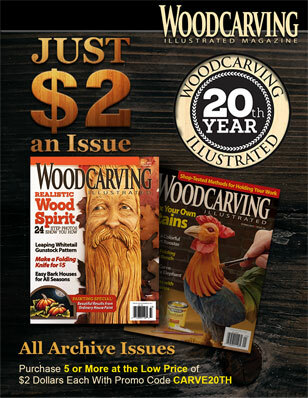 Janice carved the feet from western cedar and carved the canes and handles from aromatic cedar. The canes are about 36″ tall and the feet are about 7″ long. 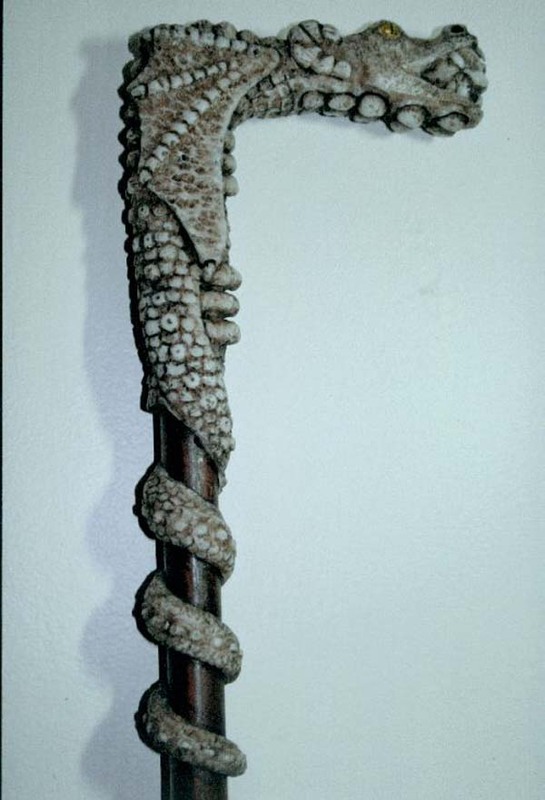 Frank Napoli of Centerreach, N.Y., won the Editor’s Choice Award with his Dragon Cane. 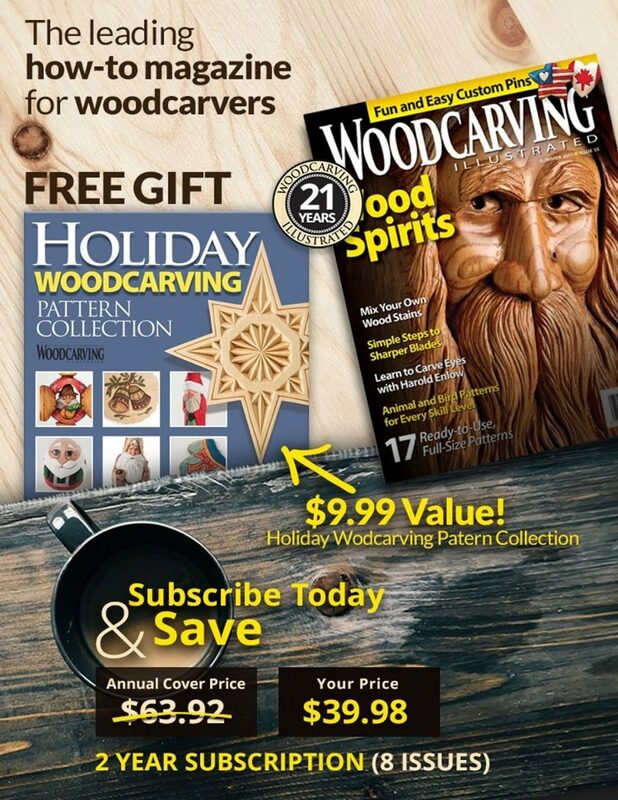 The editors felt that Frank Napoli’s piece was well carved and designed to be durable and functional. The dragon wrapped around the cane provides a pleasing and structurally strong handle. Frank power-carved the dragon from a piece of Corian and painted it with acrylic paints. The shaft is a piece of walnut. The piece stands about 38″ tall. Scroll down to see the other entries in the Walking Sticks and Canes Category.